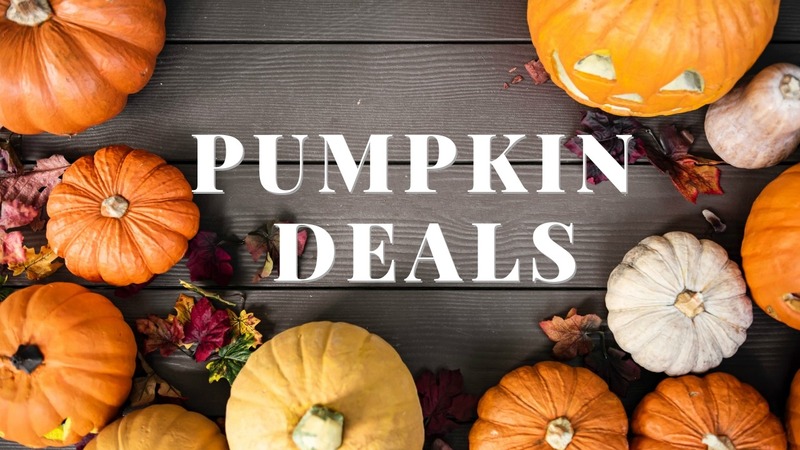 Hoping to get a pumpkin this weekend? While you can wait until next weekend, it’s possible many stores won’t have a great selection left. Plus a number of the sales will end the middle of next week. 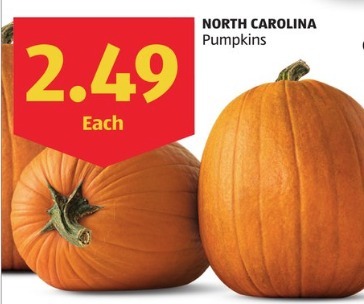 Aldi – Pumpkins $2.49 ea. the ad doesn’t say what size so keep in mind they may not be as big as other stores. 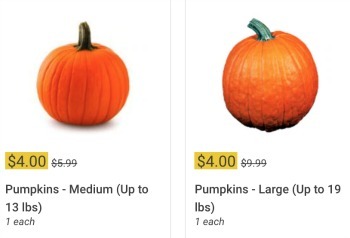 Kroger – Medium and Large Pumpkins, $4 ea.